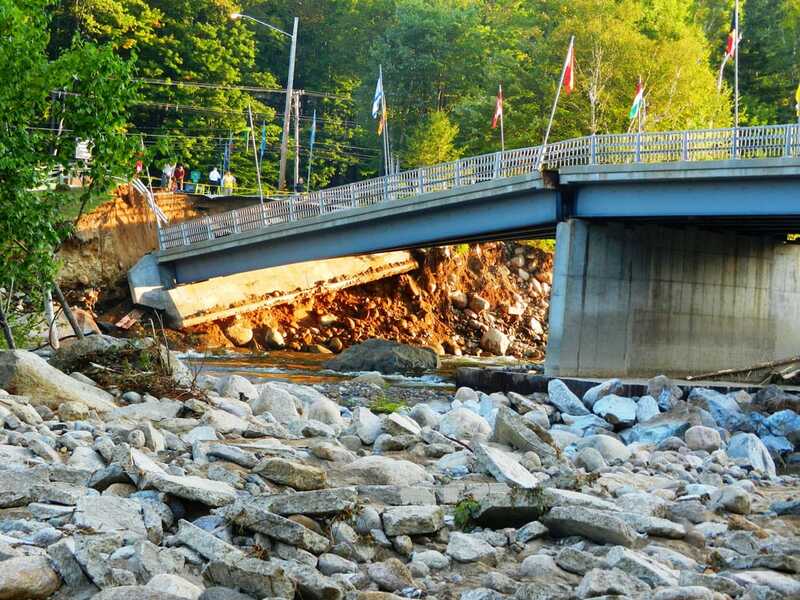 Flooding due to Tropical Storm Irene caused the East Branch of the Pemigewasset River to critically erode the Loon Mountain Bridge’s north bank abutment, ultimately leading to a partial collapse of the first span in the early morning of August 29, 2011. 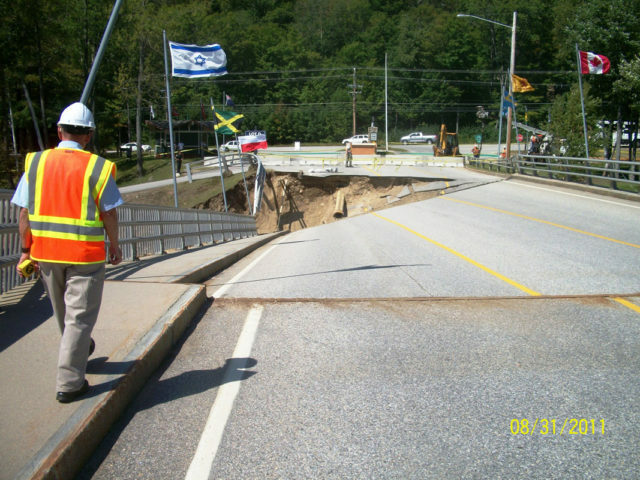 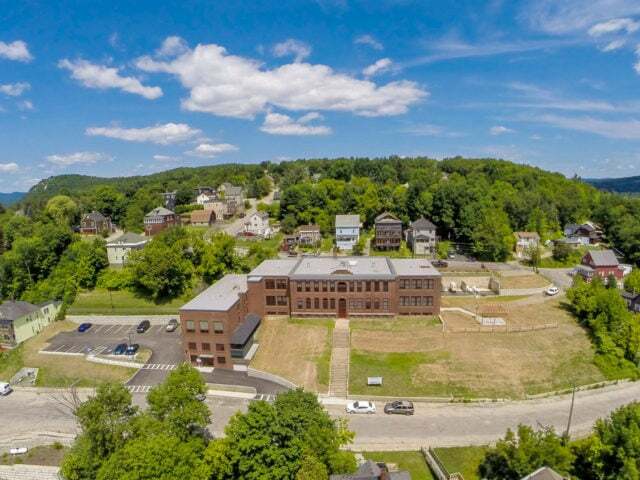 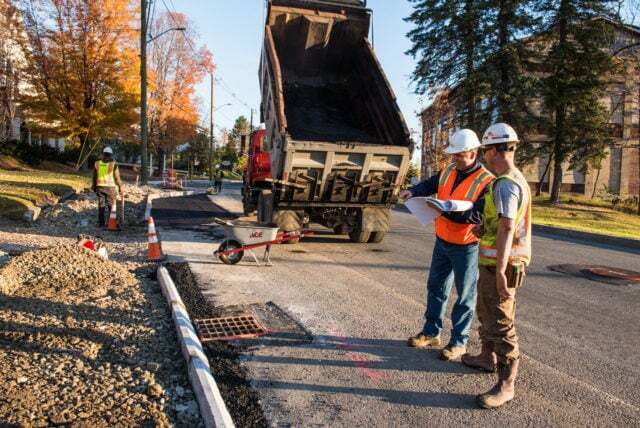 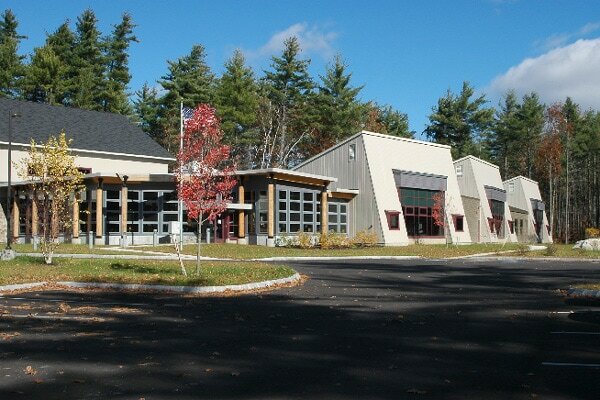 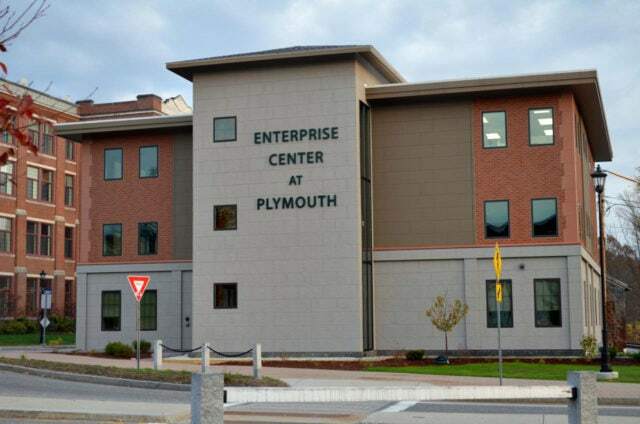 Working with Town officials, NHDOT staff, and the Governor’s office, HEB assisted in preparing an emergency repair plan. 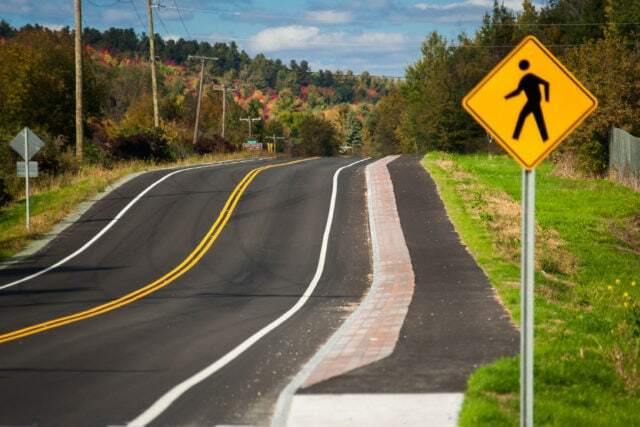 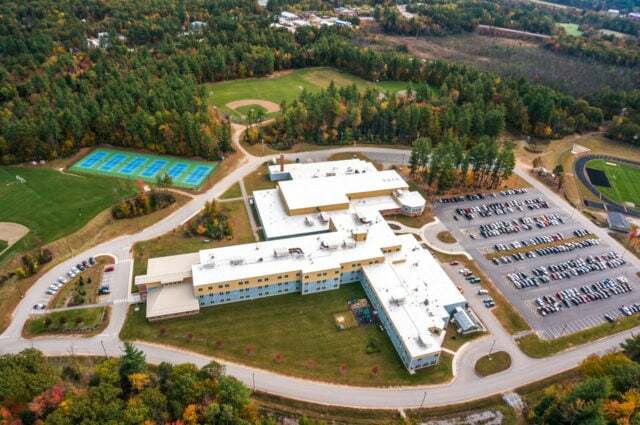 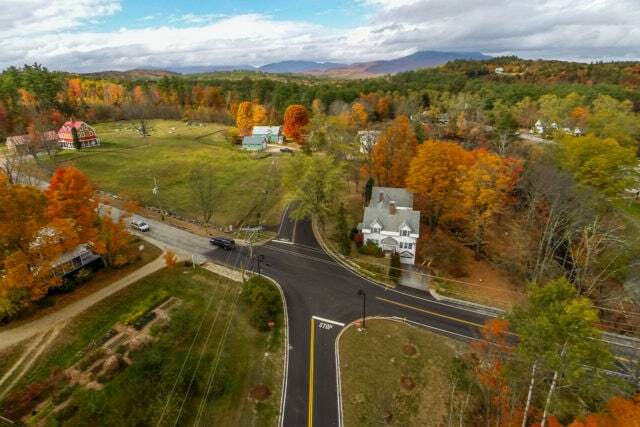 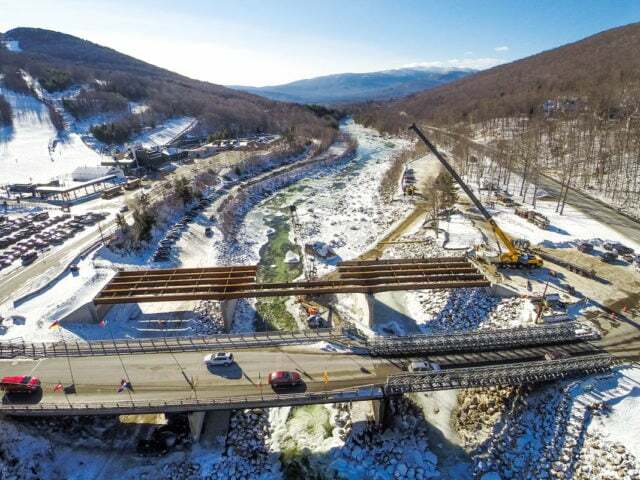 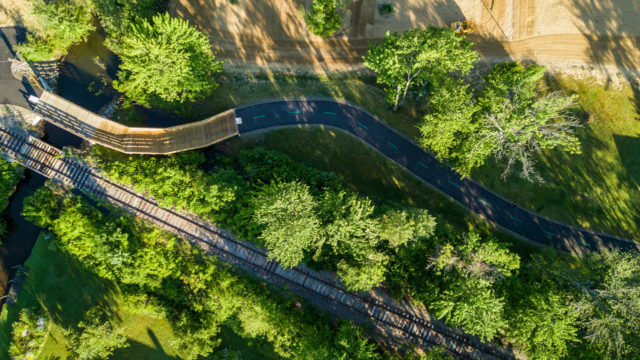 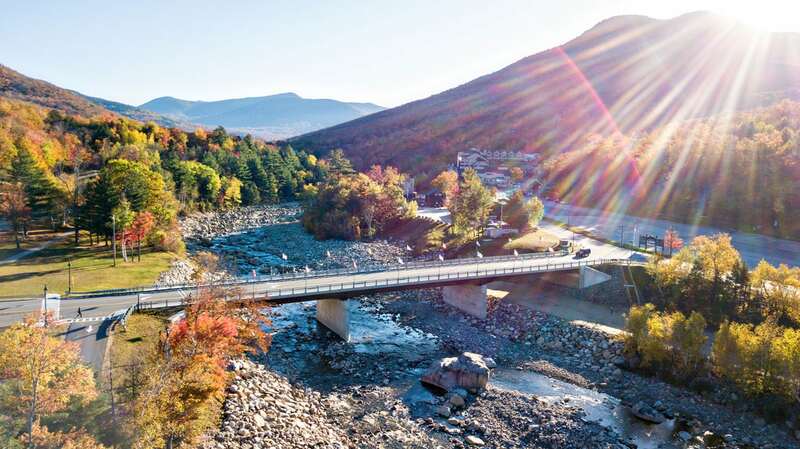 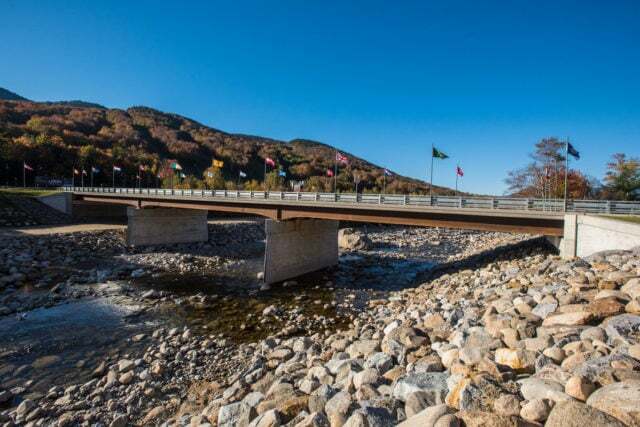 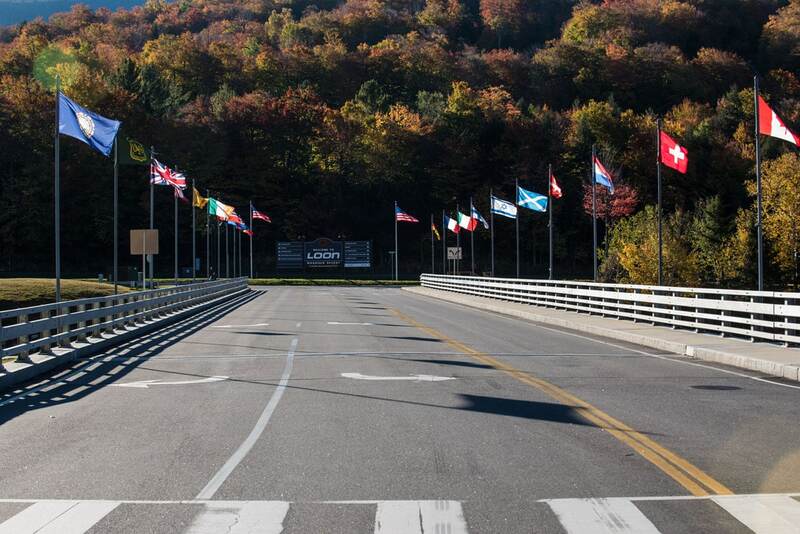 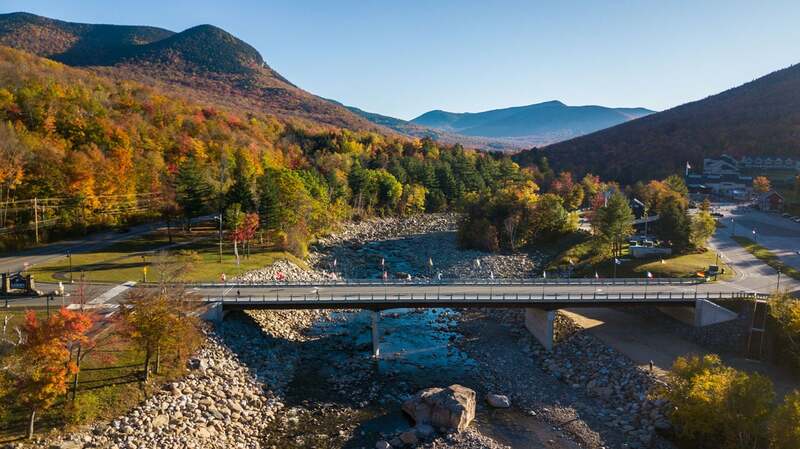 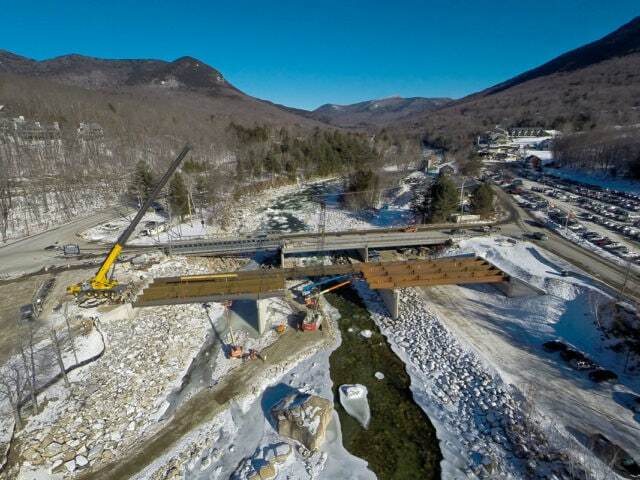 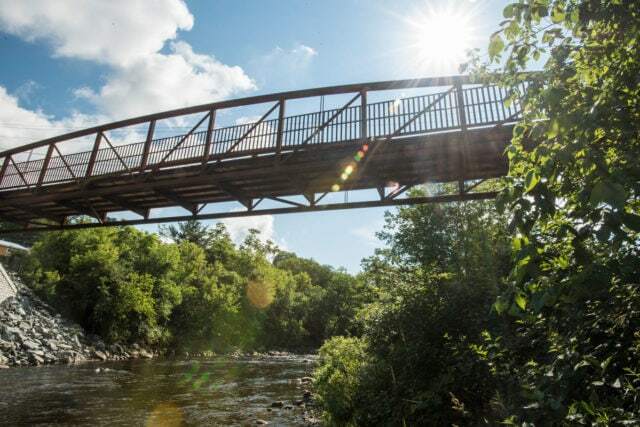 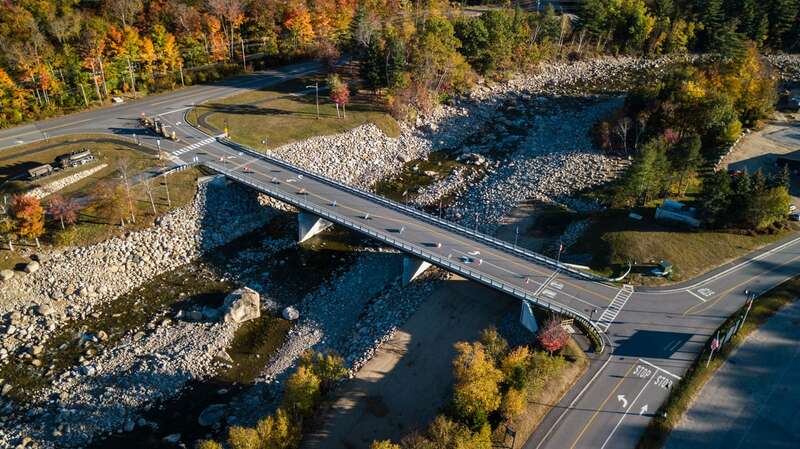 A temporary pedestrian bridge was in place in time for the popular Highland Games two weeks after the storm, and a temporary Acrow bridge was constructed to allow vehicular traffic access to Loon Mountain until a permanent solution could be completed. The permanent solution includes multiple bank stabilization techniques coupled with the construction of a new bridge. 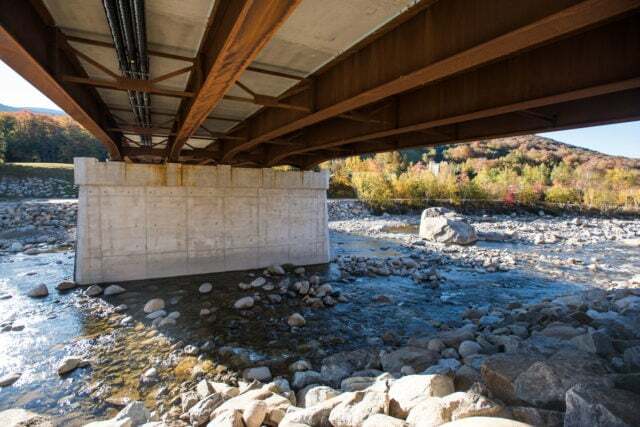 The new three-lane bridge is 290-feet long with abutments which are secured via micropiles driven down to bedrock to protect against scour. The intersection at the entrance of the bridge was redesigned to improve traffic flow to the popular Loon Mountain Resort. 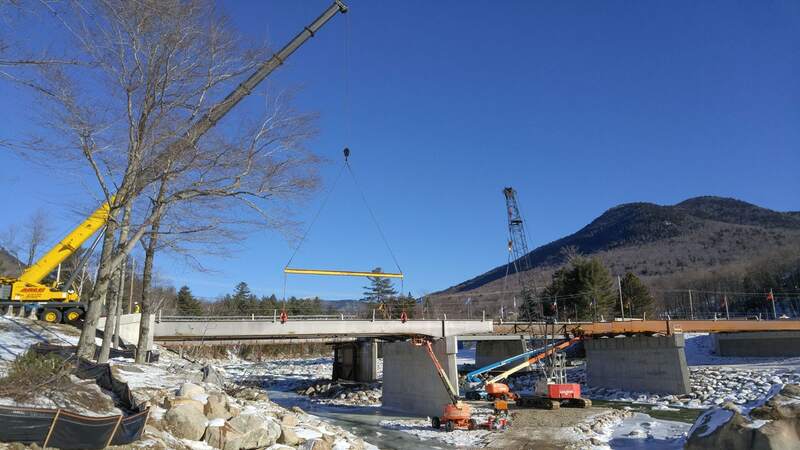 Construction of the replacement bridge began in 2015 and the bridge was officially opened to vehicular traffic in the summer of 2016.